How sustainable is your style? Sustainability is the buzzword. Every manner of building makes a claim to “greenness" today. While there are various ways of judging how green a building is, we often assume its look also offers a clue. Let’s take the first question first. 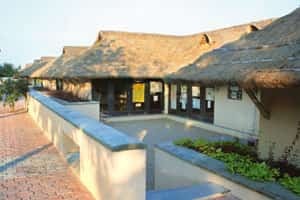 From the late eco-architect Laurie Baker’s buildings in Kerala, we may conclude that using natural materials and showing them off will lead to a greener building. Such strategies reduce the use of energy-guzzling materials such as cement, steel, aluminium and glass. 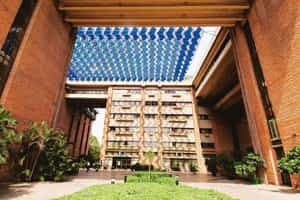 Yet as Surya Kakani, an Ahmedabad-based architect who has built several eco-sensitive institutional and industrial facilities, says, “A building in mud may not be truly green in its impact if the mud is transported from a faraway location, using up a lot of fuel." How can we build a sustainable future? 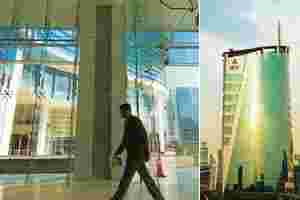 One look at oversized glass and aluminium composite panel (ACP) building blocks in Gurgaon, neighbouring Delhi, or Whitefields, near Bangalore, and you know these are not sustainable buildings. The huge glass walls face any direction, including the west, from where the hottest low-angle sun streams in. Glass lets in light and traps heat. So these corporations must consume a lot of energy (and cash) to keep the interiors cool. And all this because of the “progressive" look they desired. So much so that glass (and ACP) is the exterior material of choice for many non-corporate entities, even many governments. You can find cultural centres and small businesses adorned with glass even in scorching semi-desert climates. The state-built PL Deshpande Maharashtra Kala Academy, built over the old Ravindra Natya Mandir at Prabhadevi in Mumbai, is an example. A small hotel in Bhuj, Gujarat, in which I stayed two weeks ago, had a large glass surface catching the hot morning sun. Behind the glass was the air-conditioned lobby. So the glazed look would certainly seem to have an unsustainable ecological impact. However, things are not quite so simple. Indiscriminate glazing can certainly make buildings unbearably hot and increase energy consumption in the form of air conditioners. But glass is not the villain. If expanses of glass face shaded courtyards and let in reflected light, we could get free daylight, while avoiding the heat and glare. The Apollo Tyres headquarters, designed by Morphogenesis in Gurgaon, does this with the style of a typical corporate office in glass, aluminium and stainless steel. The real problem is our fascination for a particular look irrespective of its climatic and ecological appropriateness. Through the buildings they design, architects often engineer and strengthen this fascination. If large numbers of architects continue to favour one look, they push people’s imagination towards it. This puts a special responsibility on architects. Not only do they need to know the actual ecological impact of their design decisions, they must also consider the cultural impact. “Whatever aesthetic an architect wants to explore must be explored responsibly," says Jaigopal G. Rao, an Ernakulam-based architect with expertise in eco-sensitive architecture. “We can’t casually choose a look that needs energy-guzzling materials and goes against climatic logic." For his part, Rao has already developed a unique style of building, combining bamboo with concrete to create light, airy and ecologically gentle architecture. Now, it’s up to the rest of us. Ask a six-year-old to draw a table and the result will likely be a four-cornered, four-legged phenomenon. If this looks suspiciously like your dining table, think out of the box. Like the 1949 Guéridon Table by Jean Prouvé (see picture), whose oak legs radiate from the centre of its circular top. • A bathroom can be both vintage and contemporary. Pair bright modern colours with classic hexagonal floor tiles. • Not enough natural light? Use transparent glass shelves and sinks, or tiles with metallic finishes. • Don’t be afraid to use wood. Teak, cedar and bamboo are water-friendly. Offer the unexpected, such as a bamboo ladder for hanging towels.